Practical Transfusion Medicine for the Small Animal Practitioner, Second Edition provides clinically oriented guidance on all aspects of blood banking, compatibility testing, and patient blood management for dogs and cats. Presenting practical step-by-step techniques for collecting, preparing, and storing blood, the book describes a complete approach to providing a quality transfusion service. Laboratory considerations in transfusion practices, including blood typing and crossmatching, are also covered. The book thoroughly explains blood components and outlines the key uses of each component, with discussion of how to assess transfusion outcomes. 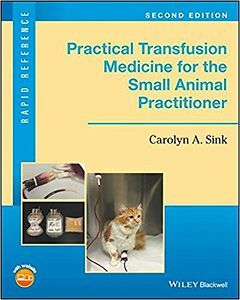 Practical Transfusion Medicine for the Small Animal Practitioner, Second Edition provides any veterinary professional involved with transfusion practice with important concepts and practices to offer a well-run transfusion service.